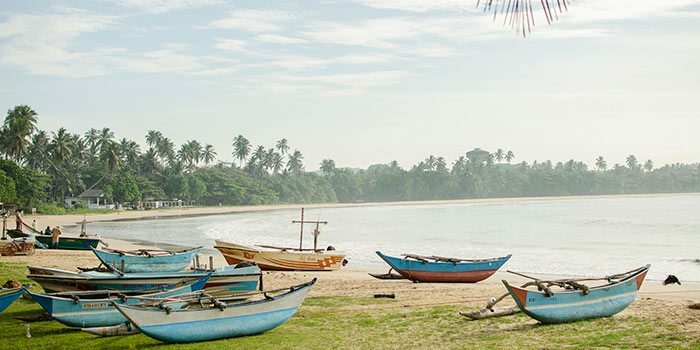 The island country of Sri Lanka pack within plenty of amazing beaches, historic places and fun things to do. You can visit Sri Lanka all round the year with the weather being quite predictable, making it is one of the best places to plan for your next vacation. 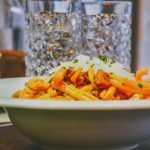 Here are some of the Things To Do in Sri Lanka that you must not miss out on when visiting Sri Lanka, the Island nation off India’s southern tip. 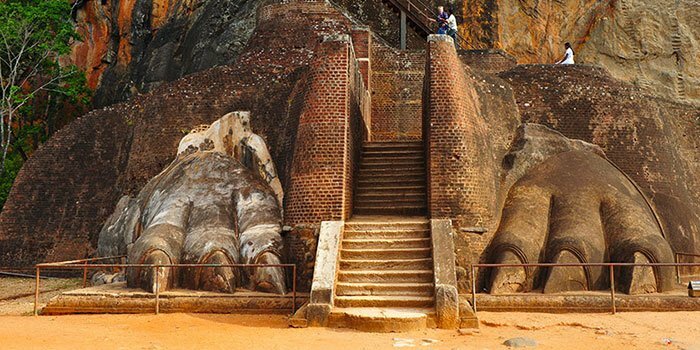 The Rock Fortress in Sigiriya also known as the Lion Rock or Sigiriya Rock is one of the most popular historical destinations in Sri Lanka. The locals call it the 8th wonder of the world and UNESCO has recognized it as a World Heritage Site. This rock fortress built in 14th century by King Kasyapa and is located on top of a 200-meter high rock in Sigiriya. The Sigiriya fort comprises of the royal palace and the fort complex. The entrance to the fort was designed to form a huge lion of which now only the claws remain. 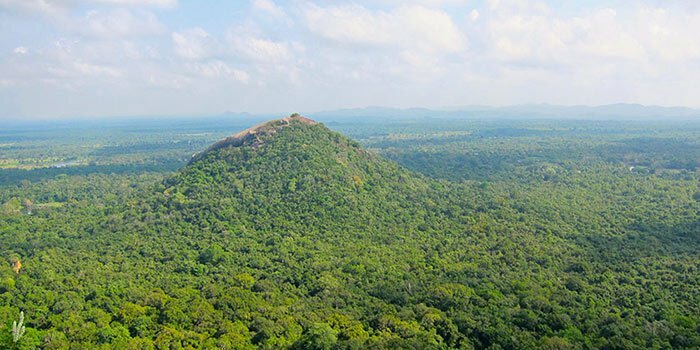 This little exhausting climb to the top of Sigiriya leads to a breathtaking view of the entire city of Sigiriya. Look out for the ancient paintings on the wall, well-maintained gardens, and the famous Mirror wall. Treat yourself to a rejuvenating Ayurveda experience at Sri Lankan resorts and spas. Ayurveda has been in practice from ages and the roots go back to several centuries. They use this system in healing and treatment and uses natural methods and medicinal herbs for treatments. Various resorts and spa across the country offer this treatment. It usually helps in the back pain, joint pains and also to relieve stress. Get a relaxing massage and Ayurveda treatment and enjoy a healthy meal filled with fresh fruits and vegetables which is helpful for a full body detox. In Mirissa you can check out Badora Spa. Yoga Reiki Meditation is a good option while in Kandy. Colombo has many good authentic Ayurveda Spa’s where you can get a treatment on your return journey as well. 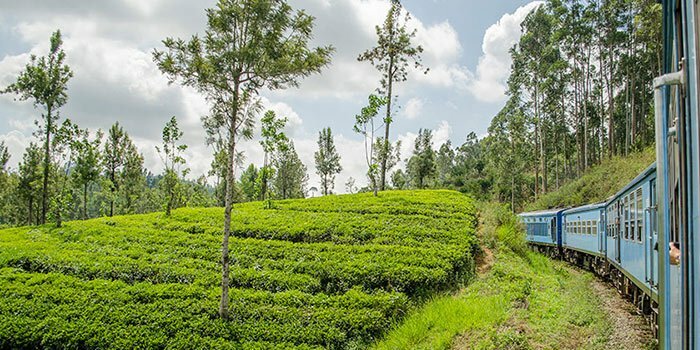 The hilly country of Sri Lanka has no shortage of tea estates. The tea industry in Sri Lanka is 150 years old and is the primary exporter of the famous Ceylon Tea. Visit the tea plantations and enjoy the view of the lush green mountains, fresh air and the sweet aroma of the tea leaves. 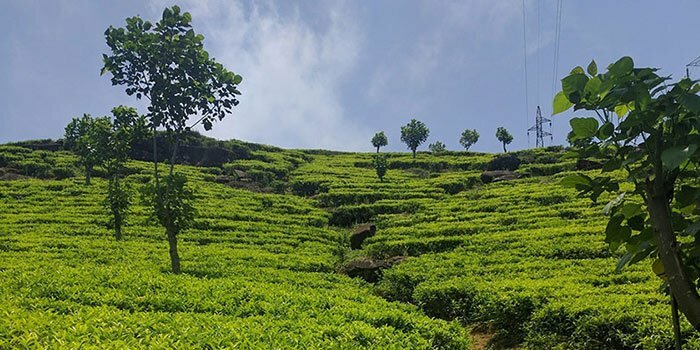 These tea estates provide an extensive tour of the entire estate. Tourists can also take part in tea plucking activity along with the estate workers. The Tea Factory in the vicinity allows visitors to view the process of tea manufacturing. Tourists can sample a variety of tea flavors that are available here. They also sell freshly packaged tea products at the factory. Many of the best tea estates are located in the highlands around Kandy, Ella, Dambulla and Nuwara Eliya. Mackwood’s Tea Plantation in Nuwara Eliya is one of the most popular ones. Whale watching is one of the most exciting experiences while on a holiday in Sri Lanka. 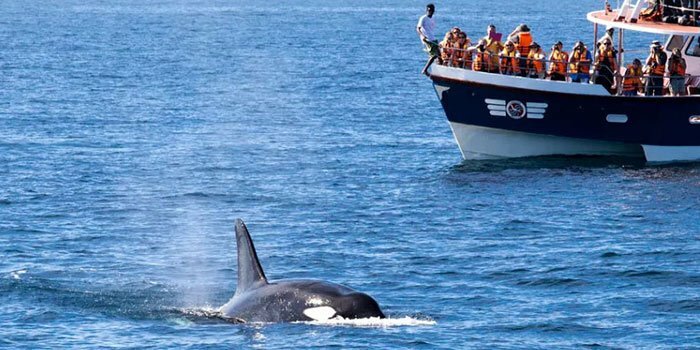 Ride on a boat into the middle of the sea where the whales and dolphins are most commonly spotted. Some of the commonly found species of whales include the Sperm whale, Bryde’s whale, and killer whale. You also get to see the dolphins gallop playfully in the water and entertain the tourists. The most popular whale watching destinations are Mirissa along the South Coast, and Trincomalee on West. You can take Whale Watching tours from Colombo, Galle or directly Mirissa. Buddhism has been a part of the Sri Lankan culture and history for thousands of years. Hundreds of Buddhist temples and sacred places are spread all over Sri Lanka. These places provide amazing insights into the Buddhist culture. You also get insight into ancient Sinhalese architecture and their religious practices. One of the must-visit ancient Buddhist temples is the Temple of Tooth Relic in Kandy. It was declared as a world heritage site by UNESCO. This temple houses the sacred tooth relic of Lord Buddha himself. 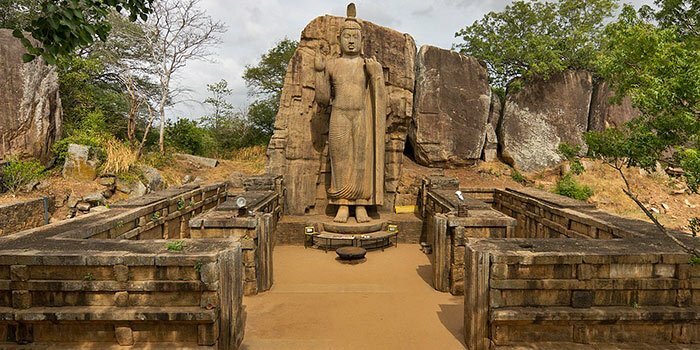 Some of the other most prominent Buddhist sites include Adam’s Peak (Sri Pada), Dambulla Golden Temple, Pidurangala Royal Cave Temple, Mihintale Temple, Seema Malaka Temple, Rumassala Temple, Gadaladeniya Temple. Go on a thrilling wildlife safari and a bird watching tour at one of the many National Parks, Nature reserves, and jungles that located in Sri Lanka. Thanks to the thick jungle and dense rain-forest and the rich biodiversity, this place is been home to a variety of wild animals. These include endemic species, reptiles, mammals, and birds. 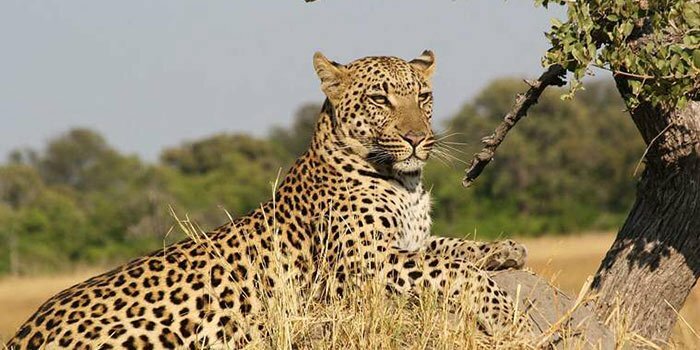 Sri Lanka has the highest population of leopards and elephants in the world. Elephants are often seen in large herds throughout various national parks in this country. Some of the other common animals that you get to spot on this tour are the sloth bear, deer, crocodiles and over 200 species of birds. 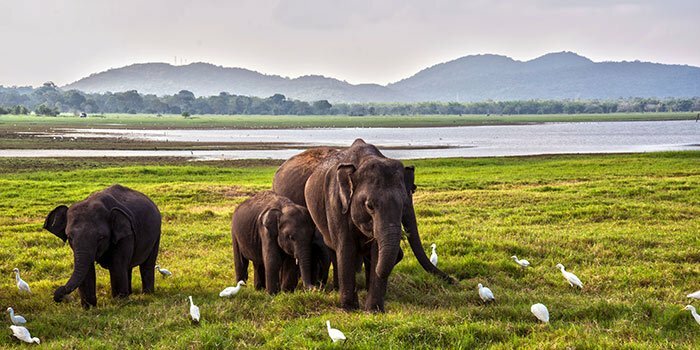 The most popular and most visited nature reserves in Sri Lanka include the Yala National Park, Wilpattu National Park, Udawalawe National Park, Sinharaja Rain Forest, and Knuckles Mountain Range Nature Reserve. Some of these places are recognized as UNESCO world heritage sites. If you are interested in observing Elephants closely and maybe playing feeding with baby elephants, Pinnawala Elephant Orphanage is a good place to give a visit. For all the cricket lovers this seems to be the perfect thing to do when in Galle, Sri Lanka. Watch a live test cricket match at the Galle International Cricket Stadium and enjoy a day filled with roar, fun, and cricket. 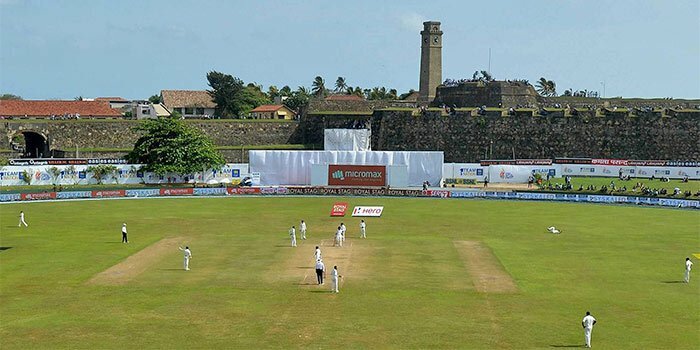 Galle International Stadium located near the Galle Fort surrounded by the Indian Ocean on two sides is one of the most picturesque stadiums in the world. This stadium was terribly affected by the 2004 tsunami but was reconstructed and re-opened in 2008. One of the best ways to travel through Sri Lanka is to take a train ride through the hilly country. These train rides offer the most picturesque view of the landscape covered in tea estates and pine forests. Discover the real beauty of Sri Lanka as you go on a refreshing rail journey through Sri Lanka’s highlands. The ride goes through some of the most beautiful trails like the train ride from Kandy to Badulla, the Nine Arch Bridge ride. If you are short on time you can even do a day trip. Take a train from one of the stations mid-way to Nanu Oya Railway Station. You come back by train to the same place or take a cab back to Kandy. 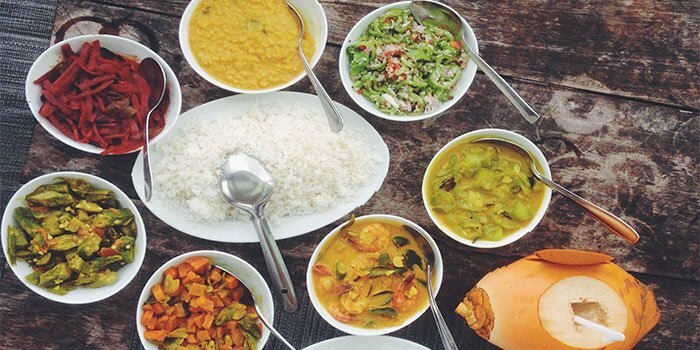 While in Sri Lanka do not miss the opportunity to feast on the delicious Sri Lankan cuisine. These foods are rich in texture, flavor and are spicy enough. One bite and you will be coming back for more. The main component of the Sri Lankan cuisine includes coconut, seafood, fresh vegetables, and spices. Some of the dishes that you must taste include Hoppers (or appam), Fish Ambul Thiyal (sour fish curry), Kottu, Parippu (dhal curry) and vegetable roti (aka Sri Lankan triangle). You can also take part in cooking class offered by the locals. Learn to cook some authentic dishes and enjoy a scrumptious lunch or dinner with these people. Sri Lanka being an island, there is no dearth of beaches here. Sri Lanka has some of the best beaches in the world and people from all over come to Sri Lanka to explore this beautiful place. Relax by the beach and refresh yourself with a cool coconut drink and enjoy a day sunbathing at some of the most beautiful beaches in Sri Lanka. 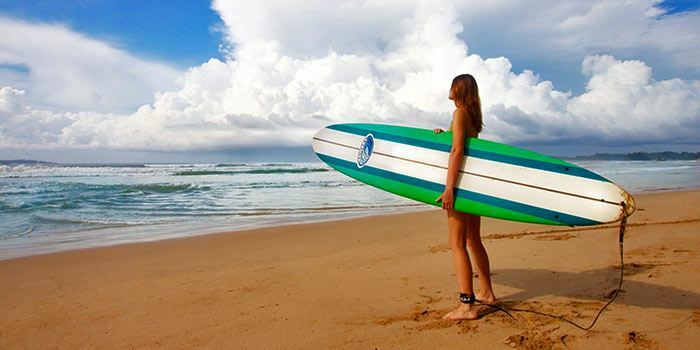 These Sri Lankan beaches are also a popular adventure destination for scuba diving, snorkeling, and surf-boarding. Some of the most beautiful coral reefs are found along the Sri Lankan coastline. Popular Sri Lankan beaches include Unawatuna beach, Bentota beach, Mirissa beach, Weligama beach, Galle, Induruwa, Koggala, Negombo and Arugam Bay. Make sure to try all these fun activities and have a great time on your vacation at Sri Lanka.